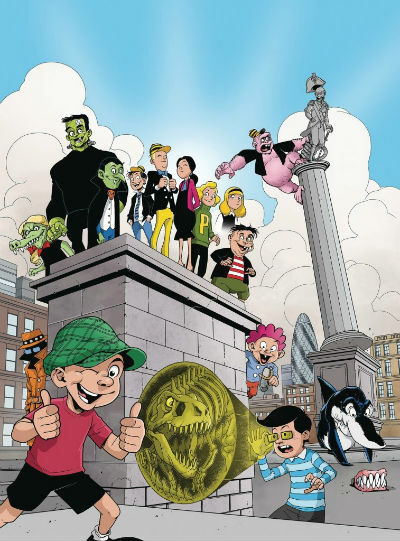 Regular Broken Frontier visitors will know we’re huge fans of what publisher Rebellion have been doing with the classic British IPC characters since they began acquiring the rights to so many of them a couple of years back. 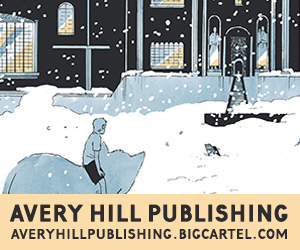 Whether it’s the handsome Treasury of British Comics collections like Marney the Fox or Ken Reid’s Creepy Creations, or new takes and re-imaginings in the Scream! and Misty Special and The Vigilant, we’ve been giving them regular coverage on the site over the last year or two. An exciting press release today, then, from Rebellion who have announced a Cor! and Buster Special for Easter. The one-shot will feature all-new material starring the characters from those two fondly remembered British humour anthologies. Buster originally ran from 1960-2000 with the titular schoolboy originally intended to be the son of newspaper strip character Andy Capp. Cor! lasted just four years between 1970 and 1974 and starred such favourites as Gus Gorilla, Fiends and Neighbours and Ivor Lott and Tony Broke. I had the pleasure of interviewing the Special’s editor Keith Richardson at London’s Orbital Comics in 2017 and can assure you his enthusiasm for that era of countless comics on UK newsagent’s shelves is boundless. The full press release and Neil Googe’s cover is presented below. ‘Spring’ into hilarity with the new Cor! & Buster Special!